You know them, you love them, they bring us a smile to our faces — they’re KIDS! 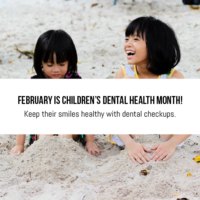 — and in the month of February, dental professionals, healthcare providers, educators, adults, and the public nationwide are celebrating National Children’s Dental Health Month! This year, the campaign set by the American Dental Association is, “Choose Tap Water For A Sparkling Smile.” The goal of this campaign is to promote children’s dental health by avoiding sugary, sweet drinks and opt toward drinking water to increase the longevity of their teeth. Most cities throughout the nation also have fluoridated tap water which, studies have shown, have decreasing trends of caries incidences. Less cavities, less problems! 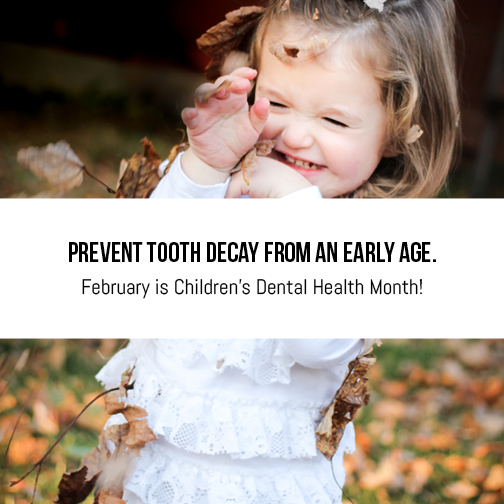 If you’d like some fun activities to do with your kids at home to promote good dental care and make them love their teeth, download the coloring pages provided so we all can celebrate Children’s Dental Health Month! Set a good example for your children at home: practice good oral hygiene (brush 2x and floss 1x daily), limit sweet and sugary foods and drinks, and bring them into Shoreline Dental every 6 months for a checkup to ensure your children’s teeth are in tip-top shape! Call us at 206.440.0065 to schedule an appointment!